SAN FRANCISCO, CA.- Bonhams & Butterfields’ Fine Asian Works of Art auction on June 21, 2011 in San Francisco brought more than $11.5-million, with a rare pair of huanghuali continuous yoke back armchairs, 17th/18th century, leading the sale by bringing $1.49 million USD. 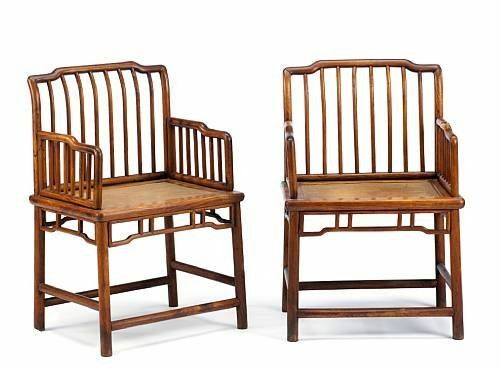 One of many attractions among the Chinese furniture to be offered, the chairs were from a private Manhattan Collector and featured an elegant s-curved back splat of plain, finely matched grain and lustrous tone. Highlights from the estate of Gussie Gaskill, former curator of the Wason Collection of books and manuscripts about China, housed at Cornell University, included a huanghuali kang table, 17th/18th century (sold for $42,700 USD), a pair of huanghuali and mixed wood rose chairs (meiguiyi) (sold for $30,500 USD). 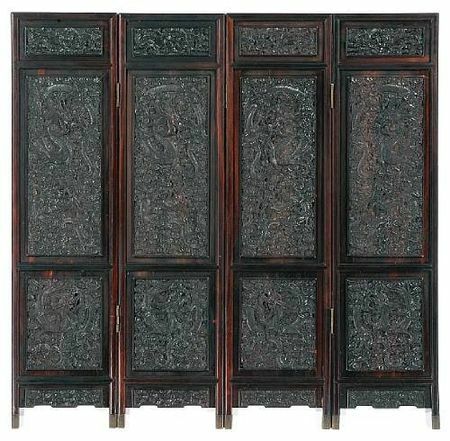 A small four panel zitan and mixed wood dragon screen, Late Qing/Republic Period (sold for $32,160 USD), and a Huanghuali and mixed wood side table (qiaotou’an) (sold for $51,240 USD) also provided excitement for buyers. 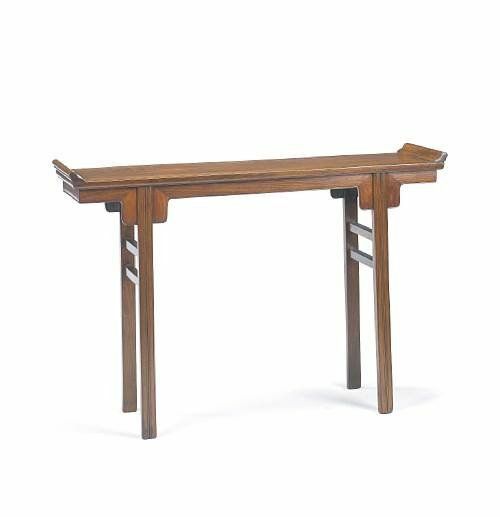 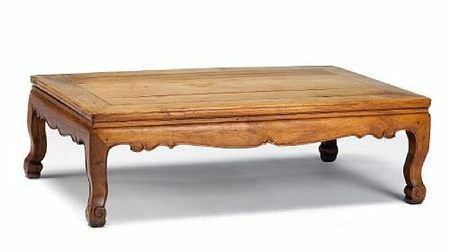 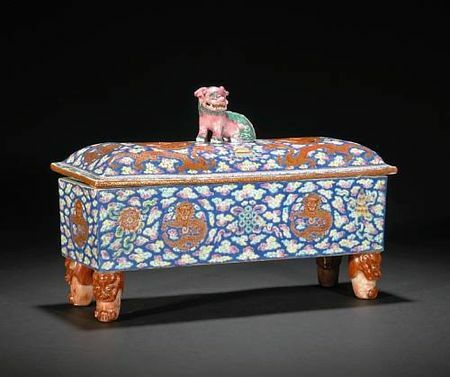 A huanghuali and mixed wood side table, 18th/19th Century, later replacements, 33 1/2 x 48 3/4 x 12 1/2in (85.1 x 124.2 x 31.8cm). 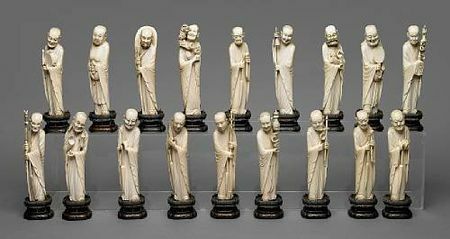 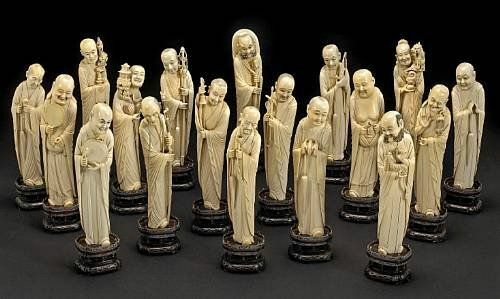 During its Fine Asian Works of Art last winter, Bonhams & Butterfields sold a set of 18 ivory luohan, Late Qing dynasty, for a record-breaking $506,000 USD. 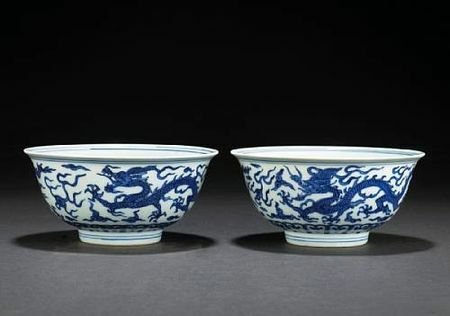 Two additional superb sets of luohan, found in different private collections, were offered during this sale, each bringing $658,000 USD and $458,000 USD, respectively, the first of which breaking the record set by Bonhams in December 2010. 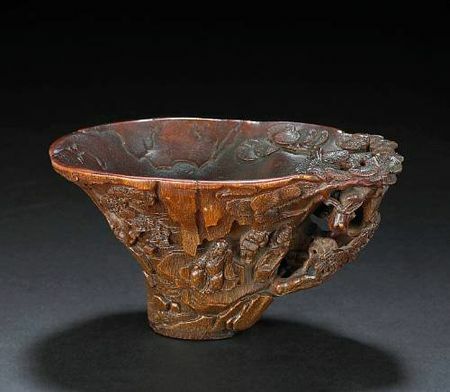 Also highlighting the Chinese section of the auction was a fine group of Ming dynasty bronzes, including a massive bronze Buddha (sold for $266,000 USD) and a rhinoceros horn libation cup carved with a Chinese sage, accompanied by two youthful attendants highlighted the sale (sold for $302,000 USD). 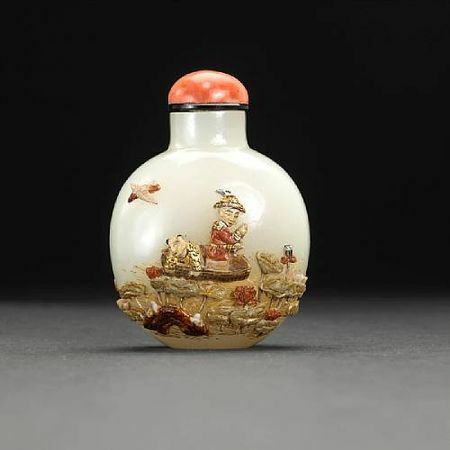 Bonhams & Butterfields was pleased to offer additional snuff bottles from the collection of Linda Riddell Hoffman, whose one-owner white glove sale in March at Bonhams New York was met with great acclaim. 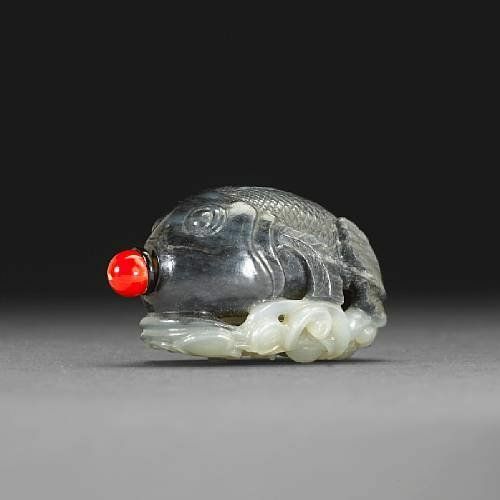 This group of jade, semiprecious stone and ivory bottles was complemented by a yellow jade snuff bottle carved in the shape of a sow (sold for $30,500 USD); a black and white jade snuff bottle in the shape of a swimming carp (sold for $85,400 USD) and a rare ‘twin’ jade snuff bottle in the form of a flattened spade shape (sold for $48,800 USD). 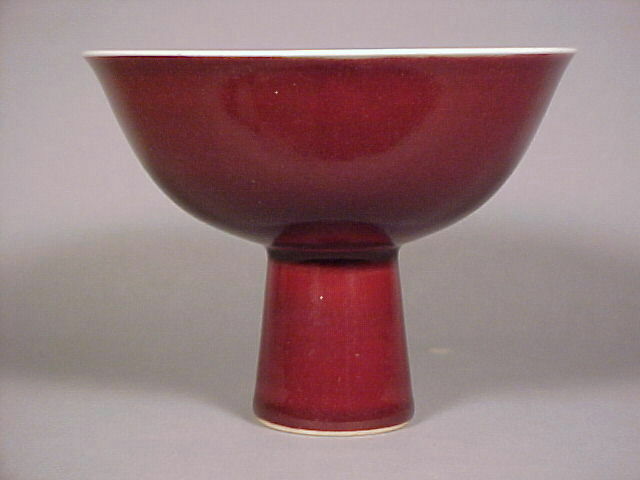 From the Estate of Norman Stiller. 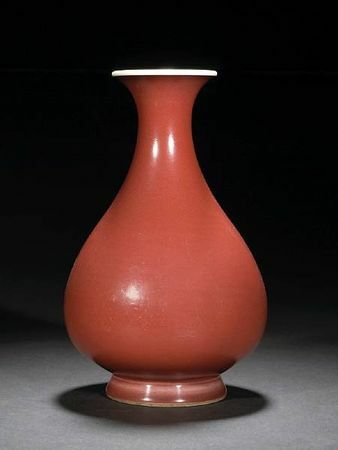 Stiller, a San Francisco immigration lawyer, was known for his connoisseurship and passion for this collecting field. 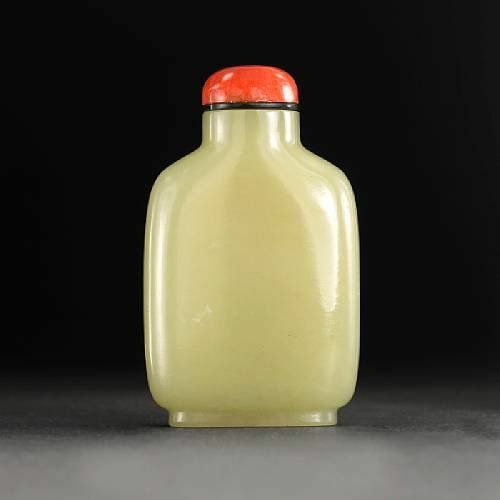 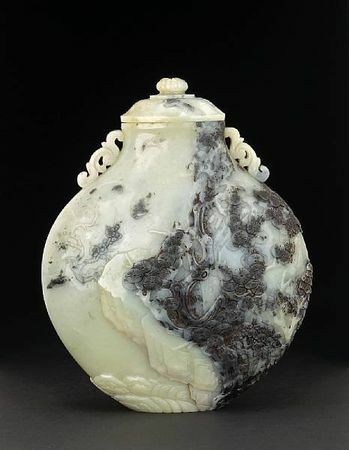 Highlights included a yellow jade snuff bottle (sold for $24,400 USD); a Japanese-embellished white jade snuff bottle (sold for $48,800 USD) and a russet and white jade snuff bottle (sold for $42,700 USD) as well as snuff bottles and glass from the collection of Dr. Alan Feen, whose star lots also sold brilliantly at Bonhams Hong Kong last November. 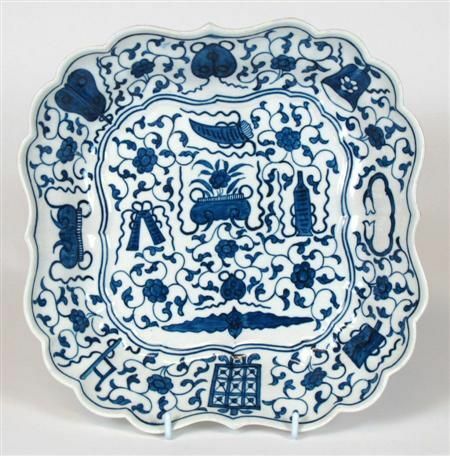 Kangxi blue and white wares from a New York private collection highlighted a large selection of Qing dynasty porcelains on offered, along with a copper red glazed porcelain vase (yuhuchunping), Yongzheng mark and period (sold for $290,000 USD); a large porcelain footed box and cover Xianfeng Mark and Period (sold for $46,360 USD) and a blue and white porcelain yenyen vase, Kangxi Period (sold for $39,040 USD). Bonhams & Butterfields was also pleased to offer an outstanding painting by the Korean artist, Park Soo-Keun, from a West Coast Collector in this session, as part of a choice group of Korean art. 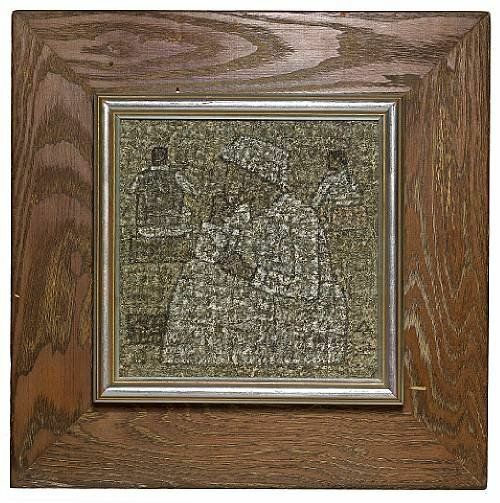 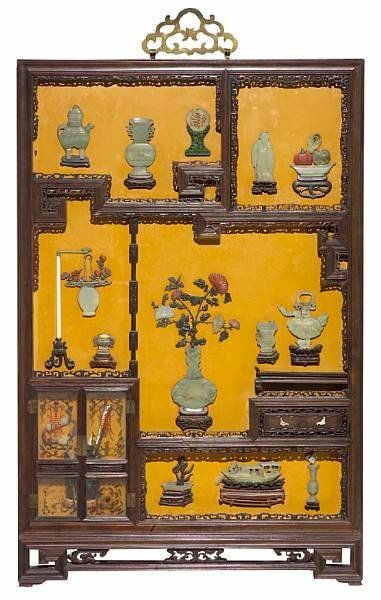 Entitled Roadside Vendors (sold for $242,000 USD), is the fourth Park Soo-Keun painting to be sold by the firm’s Asian Art Department in the last six years. 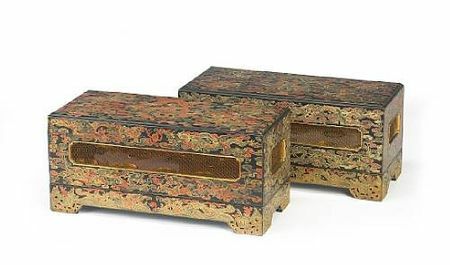 Additional sale highlights included a pair of rare polychrome lacquered and incised wood boxes with dragon decoration, Qing Dynasty (sold for $218,000 USD); a mixed wood wall plaque with jade, hardstone and ivory overlay decoration, late Qing/Republic Period (sold for $218,000 USD); a pair of framed blue and white porcelain plaques of fan shape with figural designs (sold for $194,000 USD) and a pair of blue and white porcelain dragon bowls, Jiajing Mark and Period (sold for $67,100 USD). 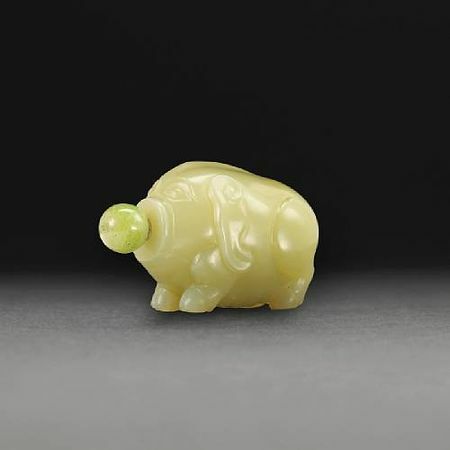 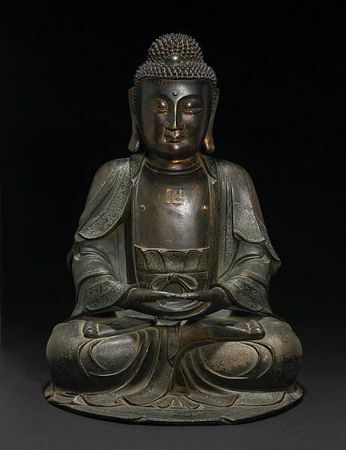 The firm will offer approximately six-hundred lots of Asian Art on August 30th. 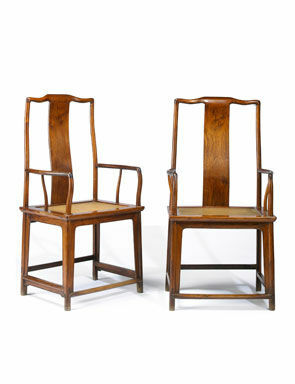 Highlights for the late summer auction will be announced in coming weeks. Consignments for major fall sales of Asian Art are invited.